Give your fireplace an easy facelift with this simple, but beautiful folding fireplace screen, manufactured by Minuteman. 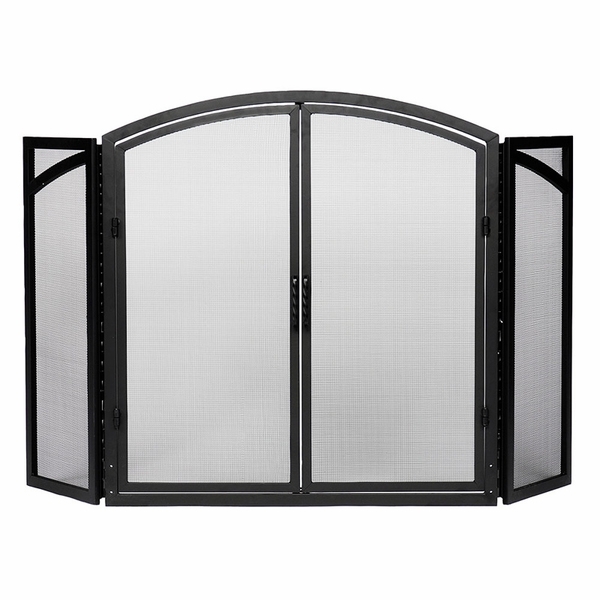 Designed with piano hinged panels to provide extra support and protection, this screen weighs 42 pounds, stands 33 inches high in the middle section, 30 inches high on the side panels and 40 inches wide including all three panels. With its size and elegance, this black screen is sure to make a statement in front of any fireplace. Enjoy watching a crackling fire even more by viewing it through a new fireplace screen!